There is this unspoken (ok, sometimes loudly spoken) concern for kids of military parents. Will they adjust with the next PCS? How will they make friends? Should we stay here while our service member moves on to the next duty station? I’m not going to answer any of those questions for you. Even if I had the answers I won’t give them to you. That is something that is a family decision, something that only you can decide. What I can tell you is how growing up military shaped my life. I was born in Southern CA on a base that no longer exists, in a hospital that is no longer there. The day of my birth my mom was attending a regular doctor’s appointment and my dad was working. When the message finally made it to him that I was on my way he drove an hour to the hospital as fast as he could. Just barely making it there, to the hallway, outside of the labor and delivery room I was born in. I’ll fast forward a few years and my parents were divorced, on very good terms. I was a daughter of dual military parents which I can imagine can really put a strain on a relationship; I can’t remember a time growing up where my parents were ever stationed together. Both my parents were in the Marines, and my earliest memory was living in Beaufort, SC where my mom was a Drill Instructor at Paris Island. I remember the play yard of the daycare I attended and I remember running to the fence every afternoon when my brother walked by to pick me up and each afternoon I remember getting yelled at for being too close to the fence. I remember bits and pieces of the house we lived in and I remember the cat my brother found and we named My Fuzzy Amigo; she lived until I was about 22. I remember the mural we painted on my brother’s wall and the 7-eleven by the house that we visited all the time; but I don’t remember the base. I do know I was happy though. Fast forward and I’m living in Quantico with my Step-Mom and my Dad. First in Stafford and then in Woodbridge and finally on Base when a set of orders to Okinawa, Japan were held due to a medical reason. I remember each school, riding the bus to one and the book mobile that came by each week, walking to school at the next and the ‘track’ for PE (which was the sidewalk around the school), and finally attending the school on base and finding out I was dyslexic. This is where my memories explode into a rich vibrant life of a military child, growing up in Quantico became the closest thing I had to a home. I knew that base like the back of my hand. I remember my brother and I riding our bikes to the building my dad worked; late in the evening and on the weekends we would throw rocks at his office window so he’d come down and let us in. I remember sliding down the empty halls in our socks because that was what we thought they waxed the floors for, our own personal play ground. And I remember getting in trouble for sneaking over to the copy machine and making tons of copies of pictures we drew just because we could. But wait… Occasionally there are flash backs of the time before Paris Island (my ‘earliest memory’). One where we are fishing under a bridge with my dad in Okinawa, another we are on the beach and my brother get stung by a jelly fish, I must have only been about 3. There is this great one of my brother crashing his bike into the rice patties and the Mamasans running to him… and the stench that radiated off of him and his broken arm when he was pulled out of the rice patties, that one is pretty funny. Oh! I remember the bathtub, I loved that bath tub. The next flash is my brother, Dad, and I (before my Step-Mom) living in Jacksonville, NC; I have a distinct memory of riding in the middle seat of our old pickup truck, all bundled up before dawn riding to the daycare listening to the radio. Memories like this fade in and out among the other memories I have from growing up. Always happy memories, funny memories, memories that make me think, my childhood was GRAND! Returning to my elementary school years, I moved back and forth between my parents , sometimes my brother moved with me and sometimes we lived separately . He graduated when we were once again living in Okinawa, I was about 11; he was 7 years older than me. I delivered the Stars and Stripes in Okinawa, waking up at 4am to do my two paper routes alone on my bike before school; and with that money I explored the town around base with my friends, riding our bikes all around the local area and playing in the parks from dawn to dusk during the summers. We moved back to my Mom’s after that when she was stationed at New River and we lived in Swansboro, NC (Jacksonville). That is where my brother decided to join the marines and he left for boot camp. Mom moved to Okinawa and I stayed back with my Step-Mom and Dad; Dad was stationed in Quantico again but my Step-mom and I lived in Jacksonville, NC. Then Mom moved back and we moved to Ft. Lee, VA, where I spent half a year in middle school and entered high school. That is where she retired and I moved on up to Quantico with my Dad and Step-mom again to finish out my high school years where I graduated a year early; I went to 13 different schools growing up if I can remember correctly, between moving and switching from the grades where the schools separated. 13 different schools, and no I cannot remember any of my teachers or any of the names of my friends over the years, except for a very select few. There were some hard times here and there but the good, great, awesome times truly overshadowed any of the struggles we ever faced. I am proof that it can work, life can go on, and healthy normal adults can be the product; at least I consider myself a healthy normal (ok, semi-normal) adult. I never attended counseling for the way I grew up, and I never got into any trouble past the normal teenage limit pushing. I also never hated my parents for the way they raised me. I did… I did always vow never, never, ever to marry into the military, period. No ifs, ands, or buts about it, it just wasn’t going to be in my future. I thought I had done my share of military life; but the truth was… I couldn’t settle for staying in one place. As soon I was 18 I was out on my own traveling and exploring, stumbling and picking myself back up, and it only came natural to meet and fall in love with someone in the military to continue on with my journey. It was never planned that way, like I said; I even avoided it as much as I could. But then, I met my husband just after my 21st birthday, and things fell into place, I didn’t know I could be happier until that point. I’m now turning 30 this year and have three kids of my own, living my own crazy, amazing, military life and my kids are doing alright and *gasp* even loving the journey we are on. Don’t get me wrong, life isn’t perfect as a military kid, but it’s up to the parents to make the best of it; the kids will naturally follow. My only suggestion to take away is to always, always, always, be open-minded. Open-minded to moving, open-minded to exploring, open-minded to letting go of the reins and throwing your hands up and just living life for all it’s worth wherever you are. Trust that your kids will then grow up open minded and accepting to change, they won’t resent you or the service member (which ever it may be, Dad or Mom), and they won’t hold this crazy life against you; if you show them how to thrive in such a life. They will look back loving the memories and experiences they had growing up, and will carry that with them throughout the rest of their full and vibrant lives. Maybe, just maybe, even sharing it with their kids in the future! 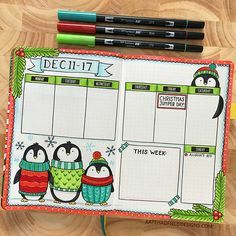 This December has been a bit of a struggle for us, it started out fine but then our heater went out and was out for a week. If any of you know me, you know that our rental house has a few issues. It’s an old house, and everything in it is old and temperamental. This wasn’t the first time it went out, but it was the longest time we went with out heat from the furnace. When we moved in to this house a year and a half ago, I was very adamant about making sure we had wood for our fireplace and wood stove as a back up heat. One of the reasons was because I wasn’t sure how cold it would be up here (being new to the PacNW) but the other reason was that we had the fireplace and wood stove, so why not be prepared to use it? Everyone thought we were crazy for wanting to buy 3 cords of wood; 3 cords was the minimum I wanted, but it ended up being all we got because everyone just kept telling us we wouldn’t need it so we figured we should listen to those familiar with the area. I wasn’t too stressed because I did have the wood and am pretty good at getting a fire started in the morning and keeping it going all day (even keeping coals going overnight), but by the third or fourth day we started getting worried… we were going through wood way too fast. By the seventh day, we had our fingers crossed that the heater repairmen would get the furnace running because we were down to 8 pieces of wood. That’s all we had left, and with the holidays we were very strapped for cash. Thankfully the heater was repaired and we didn’t need to use those last 8 pieces; but I was still a little bothered. 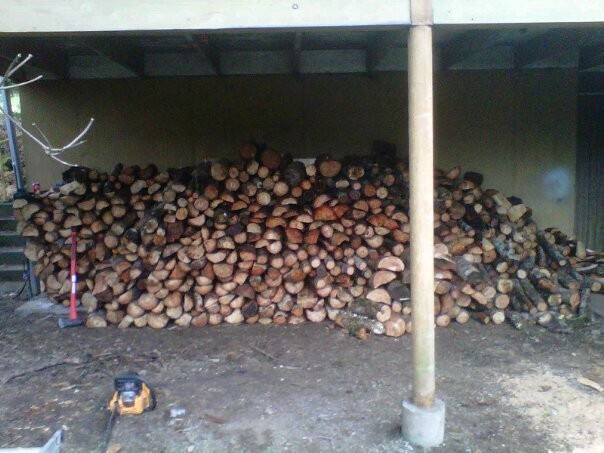 I no longer had a wood pile, I no longer had a back up; and we aren’t even halfway through winter. So I got on facebook and asked if anyone had any cheap or free wood sources. I was a little unsure if I would get any response. After all it is the middle of the winter, the wet season, wood sources become scarce this time of year and those that do have wood, they like to keep a hold of what they have for the same reasons I wanted wood. However, I did get an offer of free wood. I would just have to come and cut up the downed trees on the property, some of it has been down for a few months while some of it is just recently down. This was awesome news, but then I had a new problem. How would my husband and I get it and bring it home? We have a trailer and a chainsaw, but we really need 2-3 cords worth (a cord of wood is the amount of wood that fits in a 4 foot by 4 foot by 8 foot space) and there is no way we could get that much wood in a short period of time on our own. We thought about it a bit and decided to just throw it out there, on facebook, that we were looking for some help. There is a part of us that really didn’t want to ask for help, we have nothing to offer them other than a ‘Thank you’ and like most people we just didn’t want to admit that we were in need of help. We really didn’t expect the response, it was simply heart warming! Four days after Christmas we had 8 people (not including my husband and I) out on the property that belonged to our 2 other friends (who were actually out sick from work, and both came out to talk to us and assist as much as they could) cutting up downed trees and cutting down trees for us; not to mention one very awesome friend who watched the kids for us at her home. We had 5 chainsaws, 3 trucks and our trailer. We worked from 10am to 5pm and were able to bring home 2.5 cords of wood!! It was an amazing show of support, we were blown away by the kindness and support our friends gave us. The best part is, these friends were all military or retired military. Some of them we’ve known for years and some of them for only months (or even weeks and only met online, like the property owners! ), yet they all stepped up when we asked for help. I only wish we are able to do the same for each of them when they are in need. The day after we brought it all home and again today, one of our very good friends and my husband cut to size, split, and stacked ALL of that wood. Again the time and labor offered warms my heart! With all that happens these days, sometimes I forget what community support looks like, but this month I witnessed it first hand when our friends stepped up to the plate and all came together to help out my family. I can’t express enough how it makes me feel! All together now! The result of community support. When I was involved in COMPASS (spouses mentoring spouses program for the Navy) and as a previous Ombudsman we always talked about the fact that spouses needed to get out and if nothing else, volunteer. It’s something that can help tremendously in learning the area, meeting new people, and making use of free time. Simply put volunteering keeps you busy when you need it most and it makes you feel good about yourself, because you are helping others. When we moved up here to the Pacific North West I wasn’t sure if I was going to do any volunteering, after all I was homeschooling my kids, and we were constantly out and about hiking and exploring our awesome new state. But fast forward to 1.5 years later and I found my self really needing to get out of the house and make my self useful. It wasn’t that I’m not useful normally, at least I’d like to think I’m pretty useful, but it’s just that I needed to do something for me. All my time is spent with my kids, and I need a break from time to time, I need some sanity in my crazy life. But it’s kind of funny how things work, because once I decided that I was truly ready to start volunteering again I got picked up as Ombudsman. It’s something that took a while to happen, and at first I went back and forth on whether or not I was going to do it, but when decision time came it was a great big “Yes”. I really don’t know why. I don’t consider volunteering as an Ombudsman a “Me” thing, it’s actually quiet possibly the exact opposite. But in some weird way it works, because I feel at home being an Ombudsman. I’ve done it twice before and I like answering questions and pointing people in the right direction; I like being there for the families, giving out reliable information, squashing rumors and sharing resources that sometimes get overlooked! A neat thing that happened was in addition to starting on as an Ombudsman I actually found a Horse Sanctuary right down the road from my house to volunteer at. Since we’ve moved here I’ve loved the fact that the Pacific North Wet West is secretly horse country. Between all the trees and the ‘back to nature’ (did they really ever leave the natural look) landscape are tons of paddocks and fields with horses in them. I don’t think you could go down a road in Northern Kitsap with out seeing at least one horse. It’s really great for a horse lover like me. So when we moved here I really wanted to get back into horseback riding and simply just being around horses again. I considered advertising as a farm sitter or taking lessons but just never committed to much; probably because I couldn’t find a farm or stables that really fit me and wasn’t more than 15 minutes away. But then, all of a sudden a friend of mine posted that a horse she had previously owned (and sold) was now at a rescue ready to be adopted. With that announcement it dawned on me that I was looking in the wrong places, because honestly I didn’t want the commitment of having to tend to someone else’s horses during certain times of the day, and I really didn’t want to pay for lessons. So when she posted that, I decided to look for local rescues, and that’s when I found the Horse Harbor Sanctuary 10 minutes away from my house. Now, this was something that I can volunteer for and it’s totally all about me. Ok, not quite, but it’s totally the ultimate in feel good volunteering. Taking care of rescued horses at their forever home (this specific sanctuary doesn’t adopt back out), is a rewarding volunteer opportunity, seeing the horses thrive and showing them love and caring for them when you know that in the past their life wasn’t as easy. Tomorrow will make my third day volunteering at the sanctuary and I spoke at a command function as the new Ombudsman this week, and I’m feeling great! It’s nice to get out of the rut I was stuck in, and it’s great to start meeting new people and dive back into volunteering again. If you are feeling in a rut and really just need a change, try volunteering. There are tons of things you can volunteer for, your family readiness group, Ombudsman/key volunteer, NMCRS, the local humane society, a rescue, a women’s shelter, or the local volunteer fire department, etc. There are tons of opportunities that you will find once you start looking. And if you don’t know where to start, try looking into something you enjoy doing; for me that was working with horses, for you it might be working with a local chorus or band. One of the best things about volunteering is that you can claim it all as work experience on your resume when it is time for you to return back to the work force. So if helping others, and making yourself feel good isn’t enough, just keep in mind that your volunteering today can help you get a job in the future! Oh, and it just might keep you sane during those crazy days of deployment. 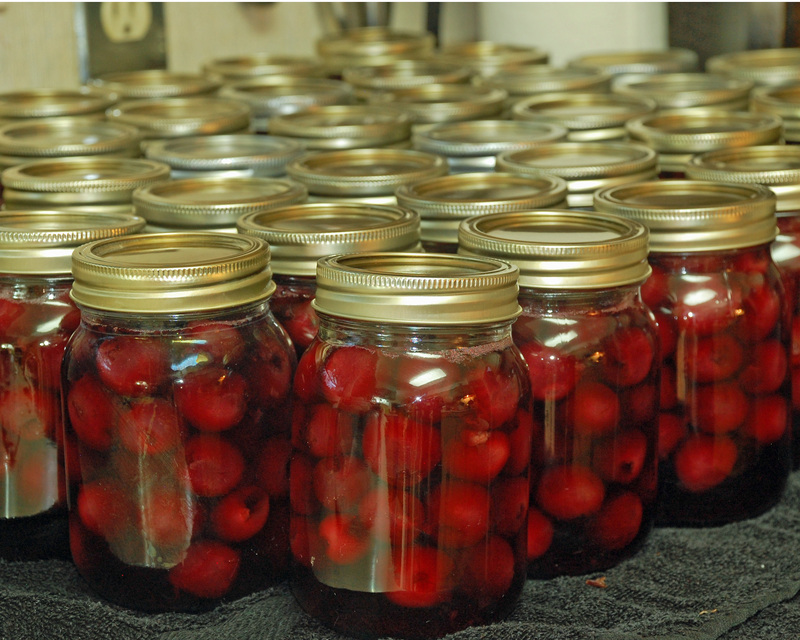 You hear of a lot of military spouses couponing and bargain shopping but you don’t hear of many military spouses canning, dehydrating, or cooking from scratch, fermenting and preserving. There are some out there, but I believe they are mostly few and far between. There’s a really good (and obvious) reason why this is; it’s just not that conducive to our life style. I mean moving and roaming the world every few years puts you at a real disadvantage to store anything. And I’d venture to guess that many packing companies would really rather not pack up a few hundred jars of home canned foods to ship to your next duty station, heck, it’s hard enough to get them to pack up your spices now days. I’m one of the crazies that try to make it work in this lifestyle. Actually to be honest I’ve really just started this past year. I’ve had it in mind to do for a while but I never put it to action. This year though, I decided to get on with it. It started with the simple act of trying to keep things fresher, longer. I bought quart jars for my flours, pastas, sugars, etc. Not only did it help keep everything fresher longer, it really cleaned up my pantry. 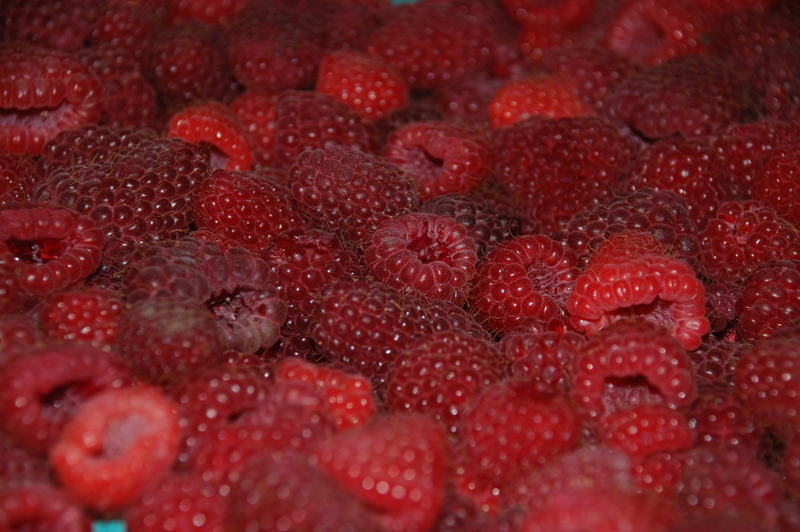 From there I really started to focus on my local resources and found an awesome local food list, that makes it possible to get 20-25lb boxes of select fruits or veggies at a time for a really decent price; the food is from WA so it keeps it local to the state which supports the state and local farmers. A year and a month ago it started with tomatoes. Then between last September and now we have put up apples, cherries, peaches, pears, and berries and then apples again just this month. It’s been exciting and fun and even a learning process; but most of all it’s provided a viable food source for my family and has supported our local growers. Besides the local food list I utilize the local farmers markets and an online bulk food list originating out of WA with most of it’s products from WA, for most of my food needs. 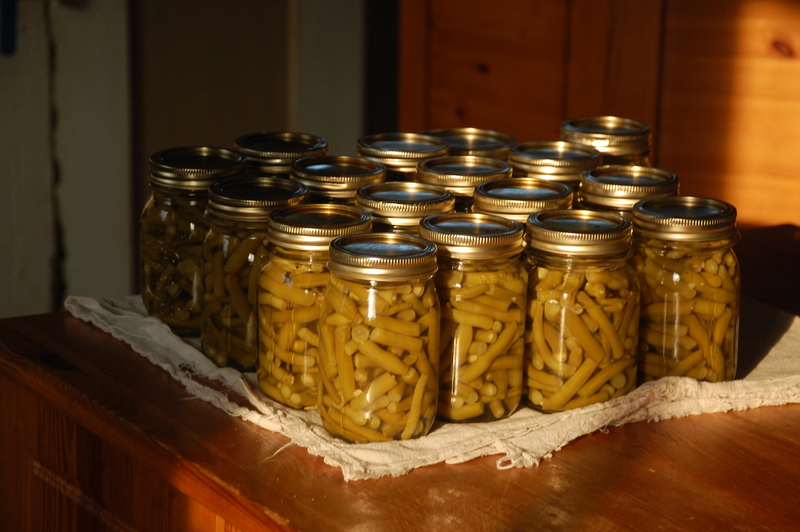 I’m lucky because canning and other food storage practices didn’t skip a generation. My mom currently has a farm where she raises the family’s grass fed cows, pigs, chickens, and turkeys (she brings us 80% of the meat eat a year; each winter our deep freezer is packed full!). She also has a huge plot of land where she grows most of her veggies that she preserves. 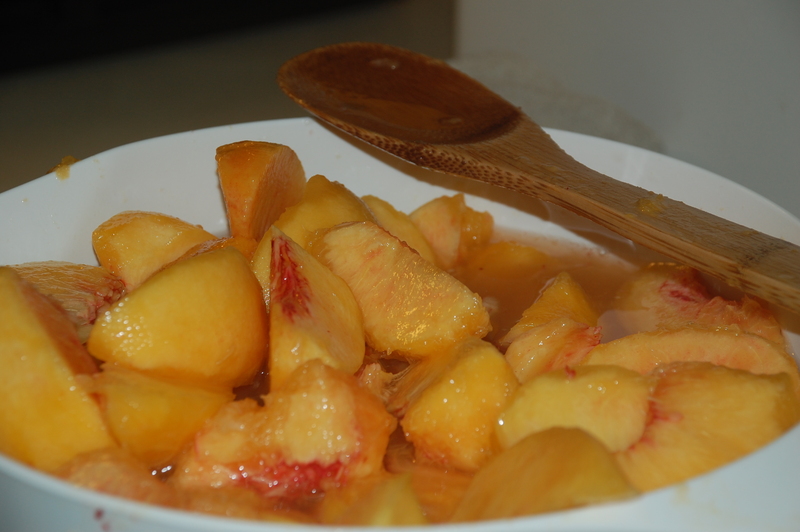 She also utilizes local VA orchards and farms. She has taught me most of what I know. 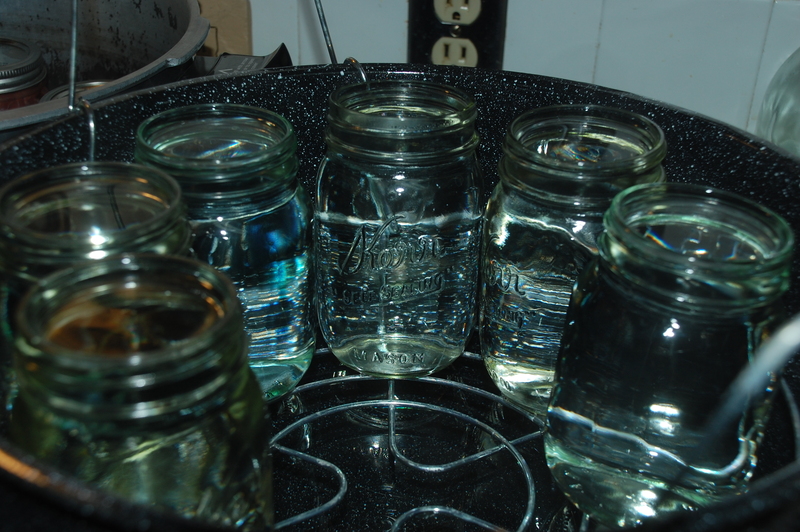 While I started off canning with just a few questions here and there, this past summer while I spent time on the farm I learned some tricks of the trade and really got some heavy duty canning done with peaches, green beans, corn, a celery soup base, and even tried my hand at some pickled eggs. But even if I didn’t have my Mom to help me out and teach me how to do this, I’ve noticed more and more canning clubs and food storage/preserving groups popping up online and locally which provide a great source of help and support. My goal with food storage and canning food is to help support our family by buying in bulk and making it last through the year. Ideally my Mom wants a stock of 3 years worth of fruits and veggies and then you just rotate it out and replace what you eat; but that wouldn’t work for me since we move so often. So my goal is to have a year’s worth of food storage so that when the growing season returns I can replace what we’ve eaten and make it through another year. By keeping only a years worth of food this will allow me to use up what we need to use by the time our next PCS comes around. Another goal with my food storage is to minimize my grocery store visits by relying more on local farms and food sources within 100 miles. This goal doesn’t only benefit my family by eating healthier and being in control of what is in our foods (amounts of salt and sugars and no additives), but it also benefits our local community and small farms. Since I’ve started my traditional food storage practices I’ve noticed we are eating healthier, we’ve moved away from most processed foods, and we are focusing more on what we are putting in our bodies. 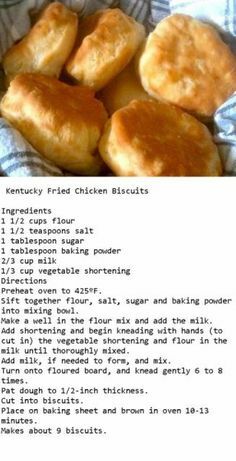 We make most of our meals from scratch, even making our quick meals from scratch and freezing them to pull out when we need to reheat something when we are on the go, baked chicken strips and pancakes are our favorites. My favorite thing about traditional food storage, is that I’m passing the knowledge on to my children, what they gain from learning how to preserve food is something that they will be able to use and pass on to others. 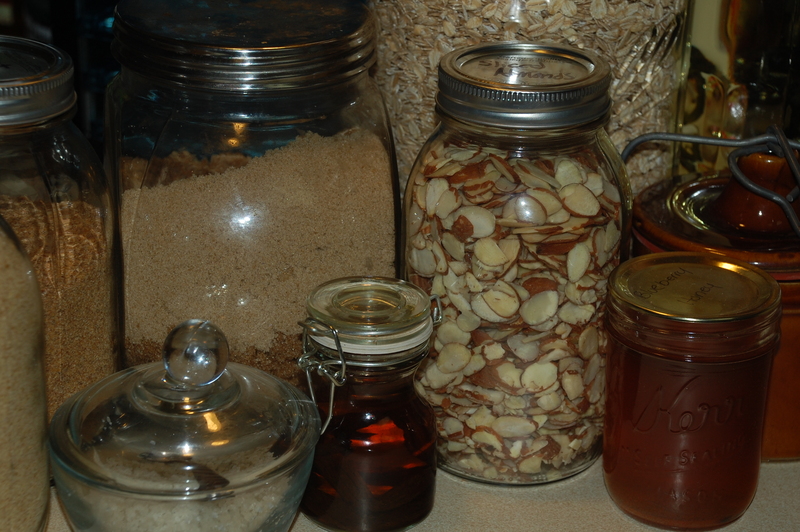 Getting into traditional food storage has opened up some really fun and unique hobbies for us. A big one is home brewing beer, we love home brewing and we’ve gotten some friends involved too! We’ve also tried our hand in fermentables like kombucha and keifer, both of which I’m still fiddling with, and I want to expand to other forms of fermenting for veggies and such. I plan to start making my own yogurt soon and I want to try my hand in cheese making. 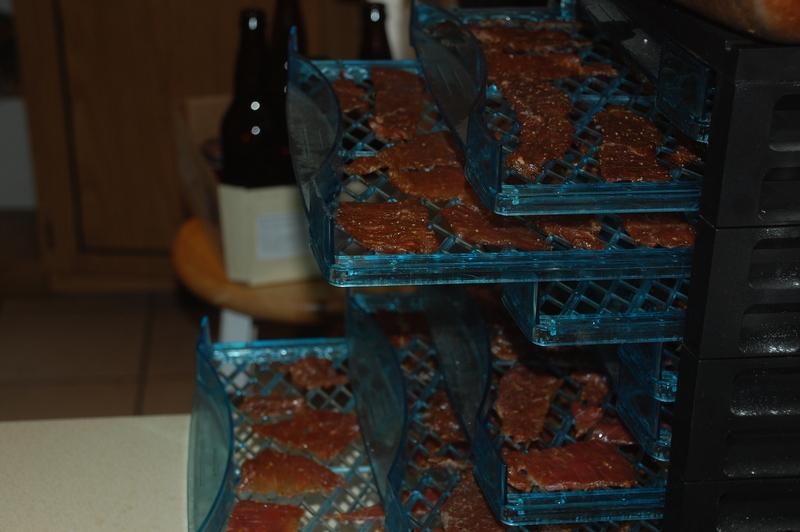 We also dehydrate foods, and have started with jerky in addition to dehydrated fruits and veggies for snack use. It’s been a lot of fun and something I can share with my husband when he is home, but also it keeps me busy when he’s deployed. The best part is when it comes time to PCS we can pack up all of our tools of the trade(s) and be ready to move on to a new duty station and start back up where ever we go, learning new things and diving into the local community and groups which helps us meet new people. So it’s been and will continue to be a win-win for our family in multiple aspects, which is awesome! If you have any questions about traditional food storage or anything else I’ve talked about just let me know. 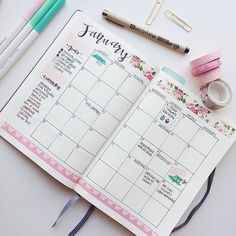 As military spouses we have to get prepared for many things, in fact at times, it seems like we are in constant prep mode; deployment, pcs, new schools, new jobs, transitioning out, etc. And if all of that isn’t enough, there is one constant that seems to always get overlooked while preparing for everything else. That is preparing for natural and man-made disasters in your area. Recently on the news we’ve seen lots of natural disasters and some of you were in the thick of it while it was happening and some were remotely effected by it because your loved ones were in the area at the time; Earthquakes, wildfires, flooding, hurricanes, tornadoes, tsunamis, just to name a few. Were you prepared if you were directly affected? Were there things you wish you had? Were you surprised at how unprepared or over prepared you were? Do you have suggestions to add for others to consider while they focus on becoming better prepared? For those of us who weren’t directly affected, I’ve got some questions for you. If your power goes out do you know where your nearest warming/cooling stations are? Do you know the fastest way to get out of your area if a hurricane, tsunami, or wild fire is coming your way? What do you do if your house is in a flood area? Do you have your emergency preparedness kits ready to go? Do you know the resources available to you locally, nationally, and in the military community? Are you aware of all of the natural disasters and man-made disasters that could affect you in your area? There have been many times that I have been unprepared, even now; I’m not as prepared as I could be for any of the many emergency situations I could face. But I’m making strides to become more prepared and urge all of you to do so as well. The three kits I’m going to focus on are your 72 hour kit, your car kit, and your evacuation kit. All three are different but you can combine your 72 hour kit in with your evacuation kit in the instance that a evacuation is necessary (provided that it’s easy to grab in a hurry). Your car kit is considered separate because there may be times that you are stranded unexpectedly in your car. Car kits; I never considered having a car kit until we moved up here to the pacific northwest. It was only on a trip up on a mountain road that I thought that I might want to think about getting a car kit together. I was wondering how we’d survive or make it back to town when we had no cell service and were miles into the mountains. The fact is that no matter where we are we could become stranded in our car on the side of the road, and what would we do if it was freezing outside or if the kids were hungry after sitting for a few hours waiting on a tow truck. So with that I decided to focus on putting a small kit in my car. With basics such as, bottled water, non-perishable snacks, extra cash, local maps, blanket(s), flares or flags, tow strap, jumper cables, utility knife, small foldable shovel, small first aid kit, flash lights, chains for the car (because we live in an area that they may become needed), and small books/travel games for the kids. 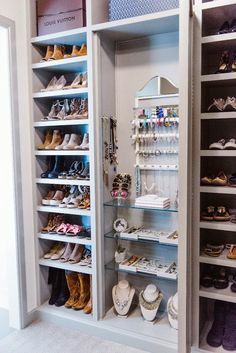 Most of this can all fit into a cloth shopping bag and I just tie the handles together and keep it in the back. But remember these are just the basics, you’ll want to add family specific items like medication, EpiPen, diapers, etc. 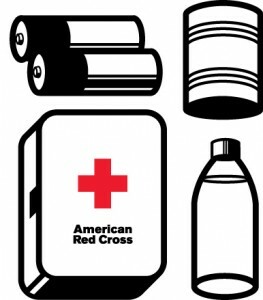 72 hour kit; This kit is to help you with the first 3 days after an emergency/disaster. If you are at home things that you want to consider are filling up your bath tub(s) with water to flush toilets with if you plan to ride the storm out, make sure you minimize opening fridges/freezers after power goes out, maybe consider putting often used items in an ice chest with ice, and make sure your gas tank is filled up in your car (and in gas cans if you have a generator) if there is enough warning before the approaching storm. The basics of the kit that you will want to make sure you have are three gallons of water per person or one gallon of water per day per person. Don’t forget you need a gallon per pet per day as well as their food. You will want Three days worth of non-perishable food per person, including necessary utensils and dishware. Extra cash in case you need to buy something after power goes out and copies of important documents in an air tight package. Make sure all medications are in one place and easy to grab in case you have to leave quickly. It would be best to have a battery powered or wind up weather radio and flashlights with batteries. Then be sure to add family specific items. Evacuation kit; This is a two week kit that you would take with you if an evacuation arises. This is a kit that you will take with you if you have to evacuate to a shelter. This kit will include all the items in your 72 hour kit, with special considerations made for water and food; you’ll want at least 72 hours, but if you have more and have the room to pack it then by all means take it. You will want 2 weeks worth of clothes, sleeping bags, pillows, face masks (dust/medical masks), sanitary/bath supplies, and any family specific needs (baby items, medications, etc.). The easiest thing I’ve done for this kit, is I’ve taken my camping gear and have placed it in totes with specific items grouped (like sleeping bags) that way it is easy to grab and go in case of an evacuation. And for those who are Navy families, don’t forget NFAAS & Operation Prepare . 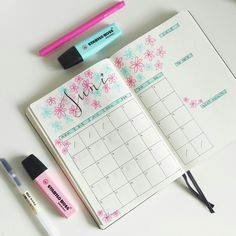 Last of all here is a link that contains a calendar that will spread out buying the items needed (that they suggest) over a 6 month period so that preparing your kit isn’t a burden on your budget; Family Disaster Supplies and Preparedness Calendar. Please don’t put this aside and decide that you will work on it another day, there is no telling when the next emergency will happen and you’ll want to be sure that when it does you and your family are as prepared as possible.